Have the best chance of getting to all the artists you want to before their spaces run out. I’m going to share some tips on how you can do all of these things, and some tools to help you get organized. Furry and similar cons have two main places where artists gather to sell their wares: The Dealer’s Den and the Artist’s Alley. The Dealer’s Den requires reserving and paying for a table and the placement of each artist is published online or in your convention handbook, so you can know who’s available. Screenshot from Texas Furry Fiesta’s Dealer’s Den page. The Artist’s alley is more variable– it can vary from day to day who is there to draw, and artists may move during the con or they may not win the table lottery on each day. You may not be able to know which people from the Alley are available ahead of time unless they declare their intent on social media. 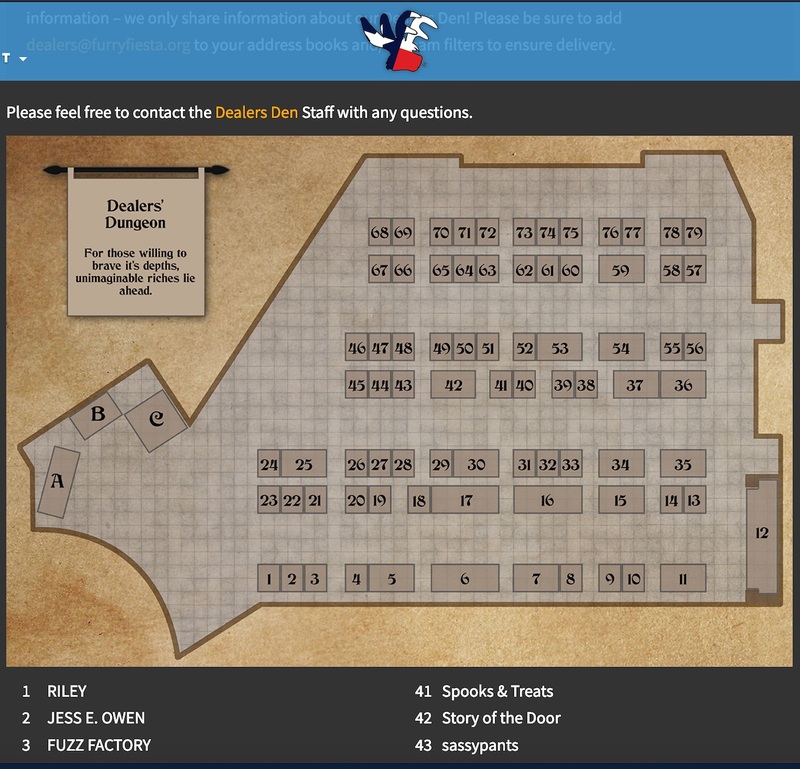 If you know where artists are stationed in the Dealer’s Den, you can map out a plan of who to visit first, and where to go next, so that you’re sure to hit all of the artists you’re looking to commission. If you’ve not read our article on how to describe what you want to an artist, you should really check it out. Having a written out description and references of what you’d like to see drawn ahead of time allows you to make the interaction with your artist pleasant, quick, and fun. Click here to download a generic order form template you can use to specify to an artist what you’d like! Take the filled out order form and any reference images you have, and paperclip or staple them together. When you go to meet your artist, all you’ll have to do is hand them the packet and they’ll already have everything they need to get started! You’ll put a smile on their face and reduce the chance that there will be any confusion about your order. While ordering from Artconomy.com makes it very easy to pay with the safety and convenience of your credit card, not all artists at a convention have a card reader available and many will only accept cash. This means that in order to be sure you will be able to pay artists, you will need to have plenty of green set aside. Do not wait until the convention begins to visit an ATM. ATMs at convention sites deplete quickly, as many people forget to bring adequate cash. It’s difficult to know what artists will charge ahead of time, as conventions may prompt special pricing and offers that exist only for the duration of the event, so bring more rather than less. If possible, try getting some smaller bills as well, like $5s and $10s, as most ATMs only give $20s and higher numbers, but many commissions don’t evenly divide into $20 increments. This can mean that you might spend extra time trying to make change. A standard event pass to a convention will give you access to the artists available in the Dealer’s Den and Artist’s Alley, but if you want to be sure you’ll get a spot, you’ll need to pay for a Sponsorship or Super Sponsorship level pass. The exact names of these passes vary from convention to convention, but one of the key features they have is the ability to enter the Dealer’s Den a few minutes earlier than anyone else. For popular artists, those few minutes can be the difference between getting a spot and having to find another artist to draw what you want. If you’re familiar with an artist’s work, you may expect that the piece you receive will look like their gallery postings. They may, but more likely you will only be able to get a piece done at a convention which is a basic sketch, inks, or rough colors. Full blown digital art is rarely performed at cons. This is because commissioners expect to get their pieces turned around within a day or two while they are at the event. Many artists are amenable to ‘take-home’ commissions where they will complete an order and send it to you after the event online or through the mail, but this depends on the artists and their workload. The probability of getting a spot for an artist to draw your commission is directly tied to how well you prepare. 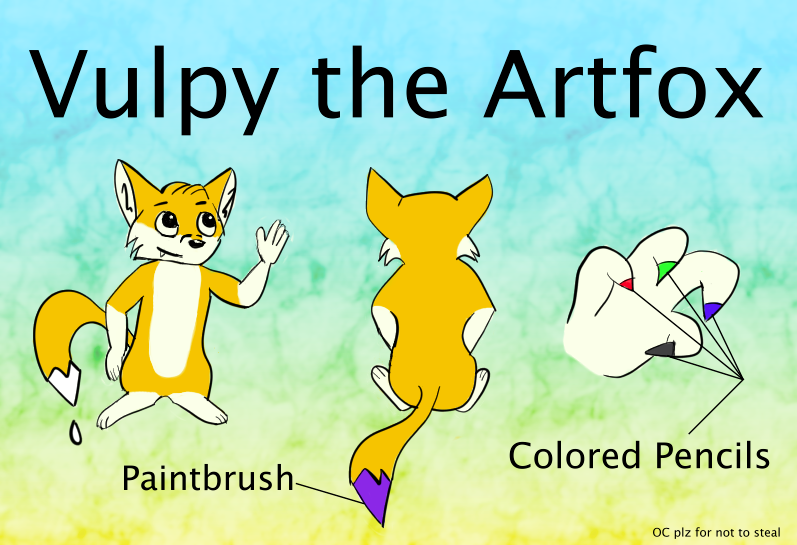 Following this guide will give you the best chance at getting everything you want, but if you don’t end up quite as prepared as you’d hope, remember that there are many other artists at a convention that would be willing to draw what you want. Some congoers may find themselves unable to stay the entire duration, either because of an emergency or other reasons. Some people also like to bring their own sketchbook for an artist to draw in. If for any reason you have to leave a con before an artist is finished with your sketchbook or piece, make arrangements for someone to be your point of contact to retrieve these items. Artists should not be expected to ship sketchbooks to you at their own expense. Make sure you have time on the last day (usually Sunday) to pick up any last remaining pieces from the artists you’ve commissioned. With everything else you have to do in order to pack up and head home, you wouldn’t want to leave your commissions behind in the process. Try to do some prepacking the night before and when planning your trip to the convention, strive to add in time margins for last-minute pickups. Conventions are a great way to meet and spend time with other people who love what you love, and being open and ready to enjoy that special time with others who are passionate about your interests is something to be cherished.